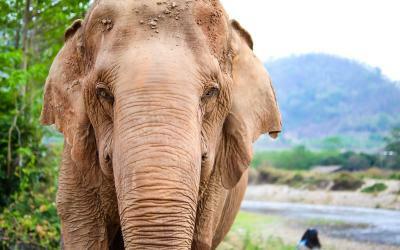 Chiang Mai is one of the most deliciously diverse cities in all of Thailand. The wide array of restaurants to choose from almost makes dining out an intimidating endeavor, as visitors to the northern capital simply have one too many options for a great meal. From vegetarian restaurants to fine-dining to Thai-style eateries and more, here are the best restaurants in Chiang Mai! You did not travel all the way to Thailand for McDonald’s or pizza. While there is an abundant amount of traditional food in this northern city to indulge in, we have done the hard work for you and found the best options. You’re welcome! 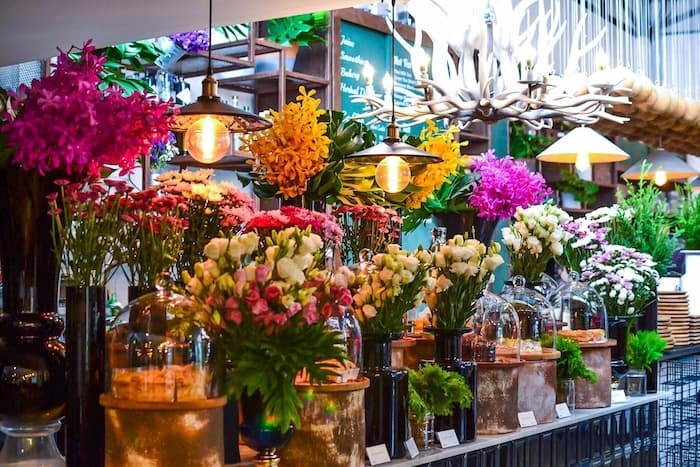 If you are looking for both traditional Thai food and an aesthetically pleasing and welcoming environment, head to The House by Ginger. With two restaurants sitting side by side, make sure to check the ambiance of both: cozy and casual at Ginger & Kafe or hip and relaxed at The House. 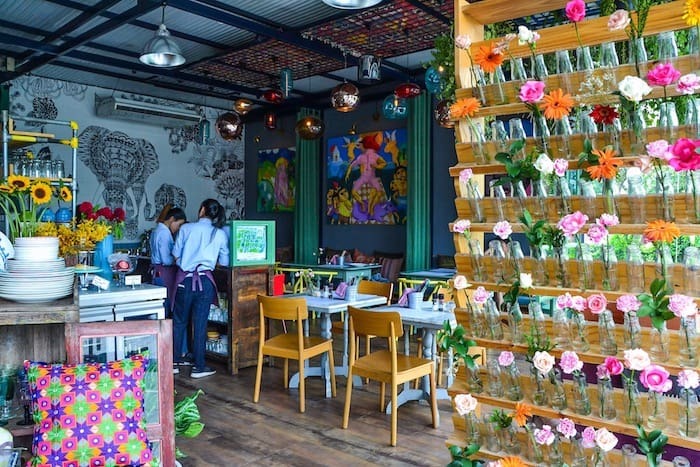 Serving up Thai food with a modern twist, these restaurants are a colorful oasis in Chiang Mai. High ceilings and vibrant decor matched with an abundance of flowers and hanging plants create an airy and fun setting that is suitable for large groups or intimate dates. 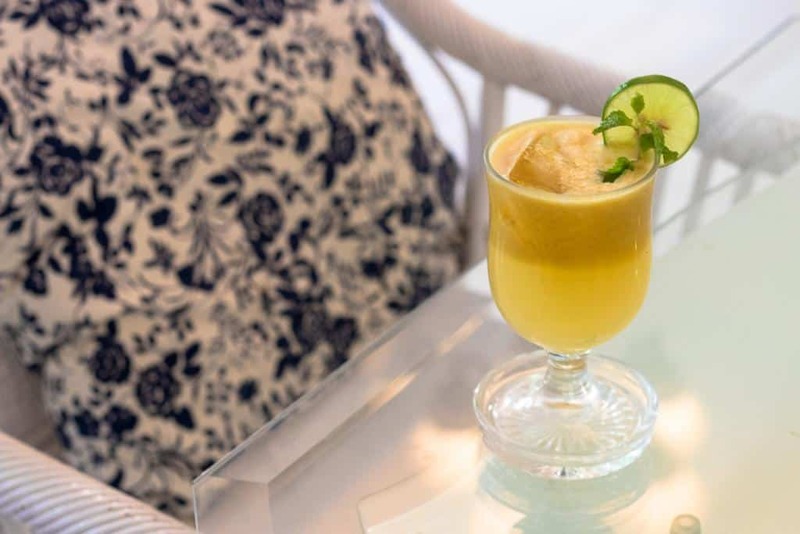 The cocktails are unique and the curries are a must-try. 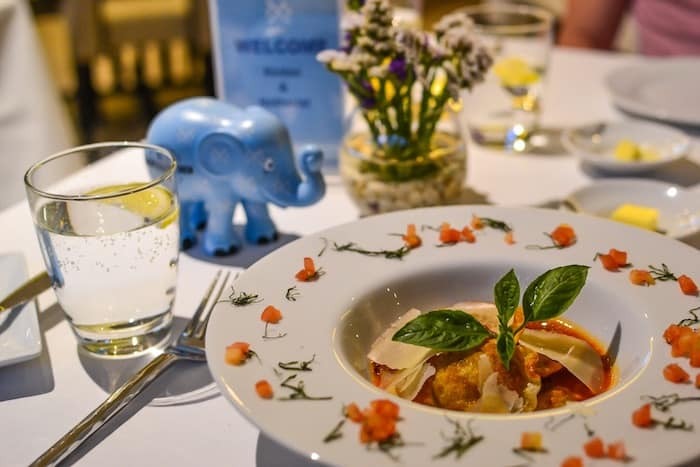 While the prices here are a bit higher than your typical Thai restaurant, it is worth it for the superb service and beautifully presented and tasty food in a gorgeous restaurant. 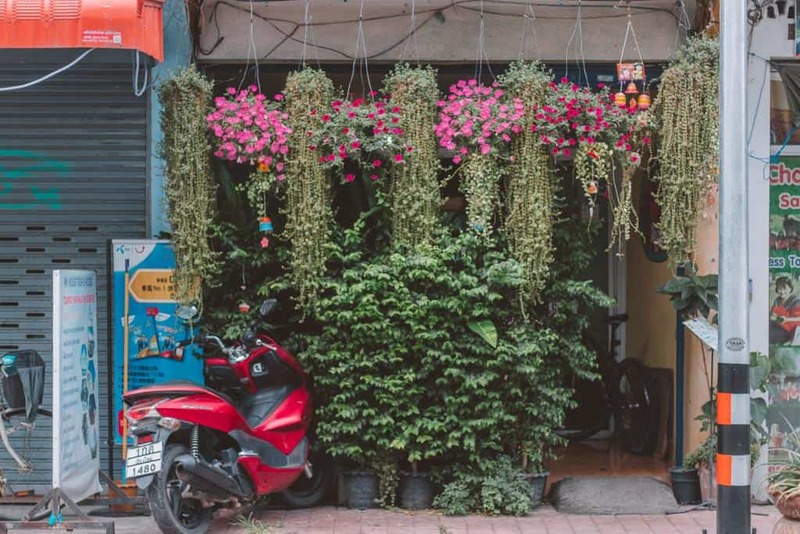 Hours: Daily from 10 a.m. to 11 p.m.
Tikky Cafe is a quaint eatery tucked away off a quiet soi (street). The tables are covered in colorful table clothes with wooden chairs adorned with plush seated cushions that are also bright in color. The restaurant lacks walls and instead resembles a giant greenhouse as opposed to a restaurant. You write down your order and give it to one of the friendly staff members. A few fans are found around the restaurant to cool visitors off as they indulge in some of the best Thai food in town. Large TripAdvisor posters greet visitors at the door, promising diners a great culinary experience. This place is almost always packed, so bring a few friends and get ready to indulge! Tikky Cafe is serving up steamed rice dishes (starting at ฿60), fried rice dishes (starting at ฿50), salads, soups, noodles, and plenty of drinks. In all of the dishes, you can choose between chicken, pork, shrimp, squid, or vegetarian, and you must also write if you want none spicy, little, medium, or Thai-style (aka incredibly spicy). 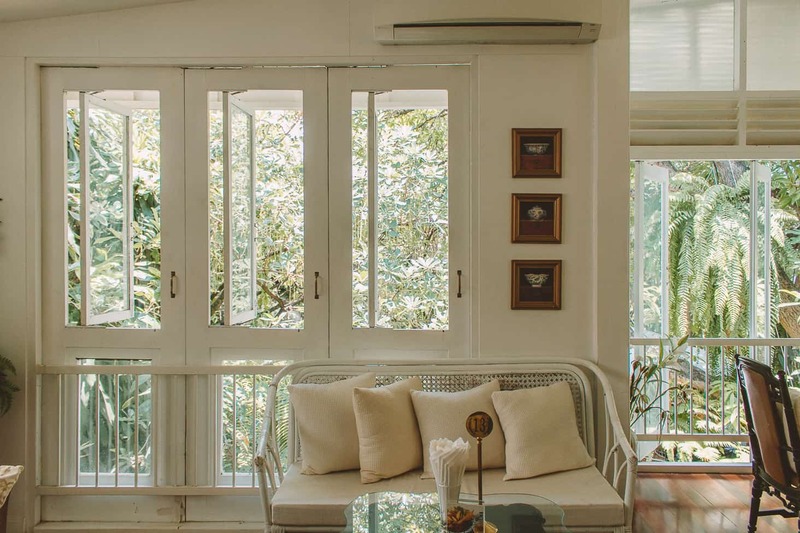 Originally a family store selling cotton, silk, and household goods, The Gallery has maintained its homey, riverside vibes. 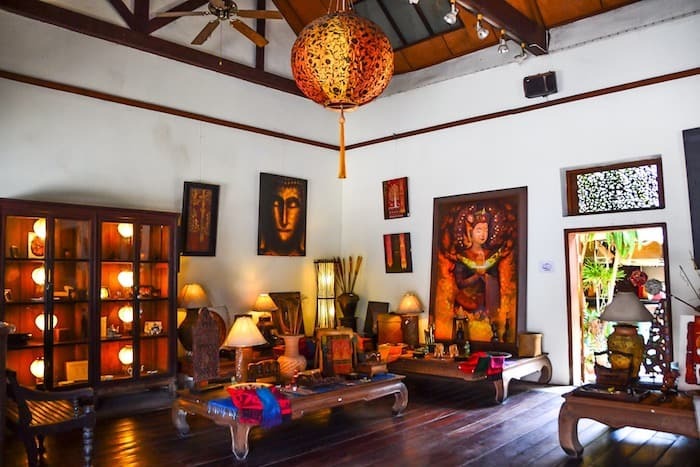 The front building has Chinese-style architecture and is home to an art gallery, while the back building is a traditional teak-wood house, common in northern Thailand. Overlooking the Ping River, you can sit in the outdoor seating area of The Gallery, surrounded by lush plants and flowers. 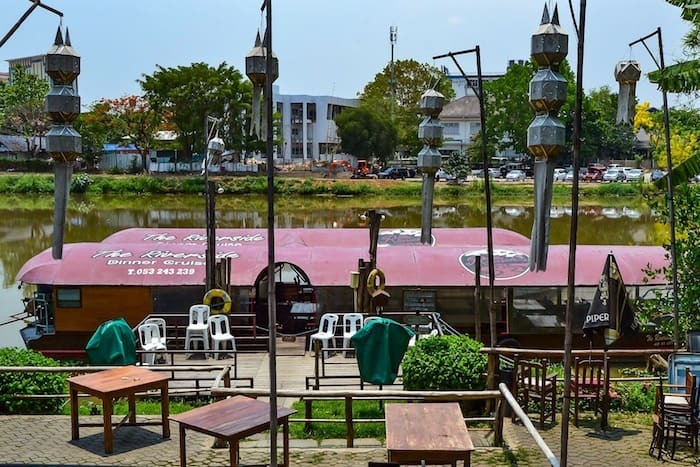 They have an extensive menu, featuring plenty of northern Thai dishes. Hours: Daily from 12 p.m. to 11 p.m.
For those wanting a fun night out, The Good View is sure to provide a sufficient amount of entertainment. 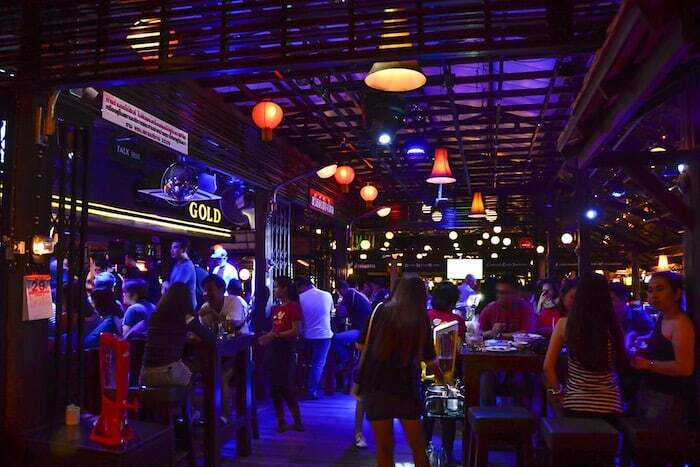 Full of locals eating and partying, this open-air restaurant and bar is the perfect place to start your night. Live music or a DJ play here regularly and you can find groups of young people dancing the night away any night of the week. 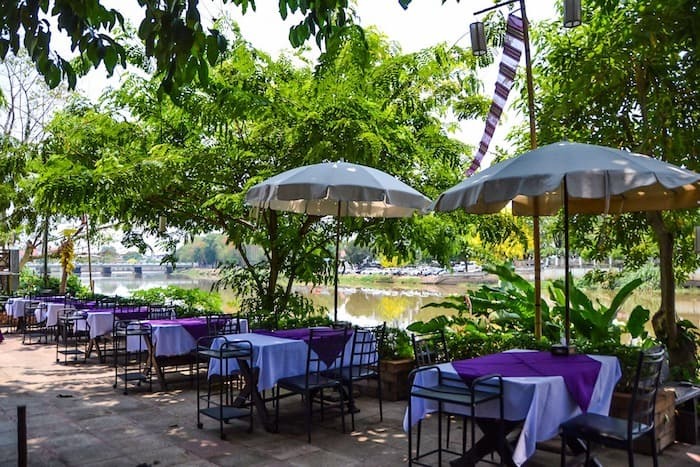 If you’re looking for something a bit more mellow, grab a table by the riverside for a more intimate evening. The menu at The Good View has mostly Thai dishes at affordable prices. 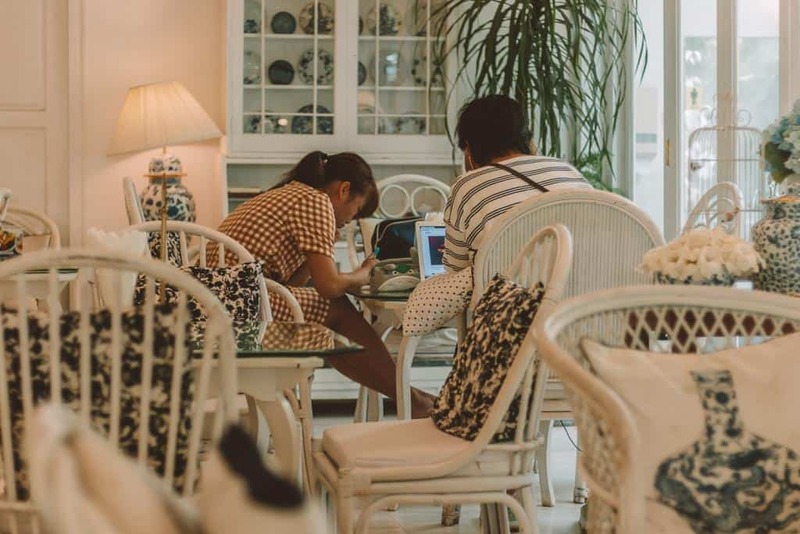 Overflowing with vibrant flowers, intricate light fixtures, art pieces, and other impressive decorations, Woo Cafe Art Gallery feels like a completely different world. This popular restaurant usually has a wait list, but don’t fret, you can check out the upstairs art gallery or the lifestyle shop while you wait to be seated. The menu at Woo Cafe has a variety of Thai dishes to choose from, along with some Western options. Along with having excellent food presentation, all meals are served on unique dishware that can be bought from the shop. The desserts are equally as scrumptious as the mains, so make sure to save room! 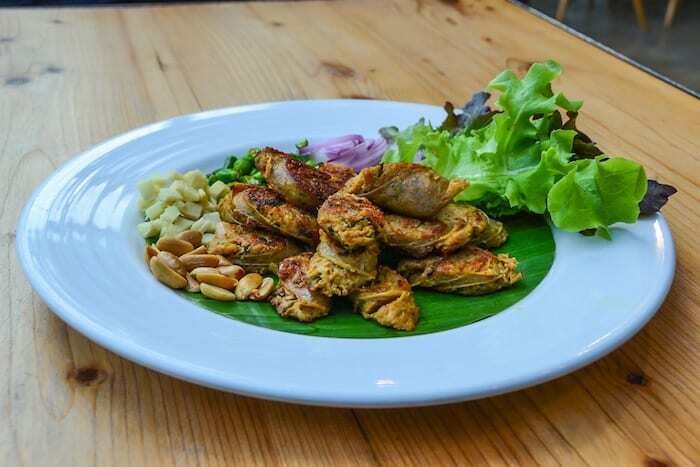 Located in Nimman, Cainito Homemade Restaurant has everything you can ask for: classic Thai dishes, Western options, modern indoor and outdoor seating, and friendly and attentive staff. The expansive windows let in tons of natural light and once night falls, the hanging lights create a warm and cozy environment in the garden. The extensive menu makes choosing your meal difficult, but the friendly servers can help you with any questions you have. Whether you want to have a romantic dinner on a boat or catch some live music, The Riverside Bar and Restaurant will take care of you. The candlelights and river views make for a charming environment when dining on the boat. Their menu has pages of Thai dishes, along with Western options, all guaranteed to satisfy you. If you’re looking for a more active night, try their craft beers in the pub and watch the live band. If there’s ever a place to sample Thai’s famous northern cuisine, TongTemToh is it! This restaurant is almost always packed, full of locals and tourists alike. You won’t usually have to wait too long, but you won’t regret the time you wasted once you get your meal. The spicy tamarind with pork and Northern Thai sausage are must-haves, but if you want something a bit more unique, try the Burmese curry or the fried snakehead. Prices here are hard to beat, so make sure to take advantage and try a few different plates! This city has plenty of international options for every craving. 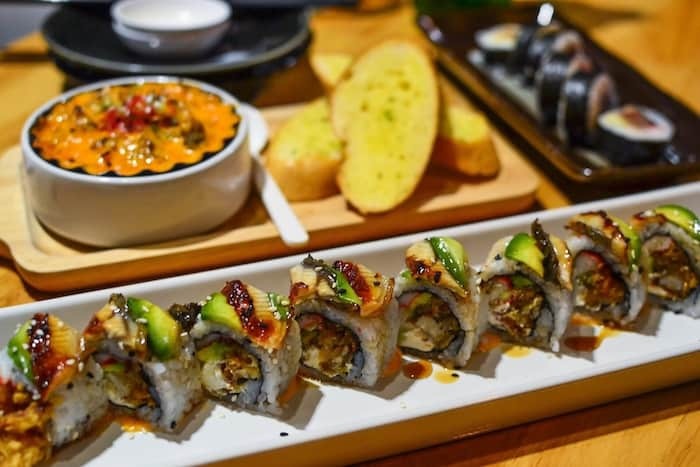 Italian, BBQ, sushi, French … the list goes on and on! 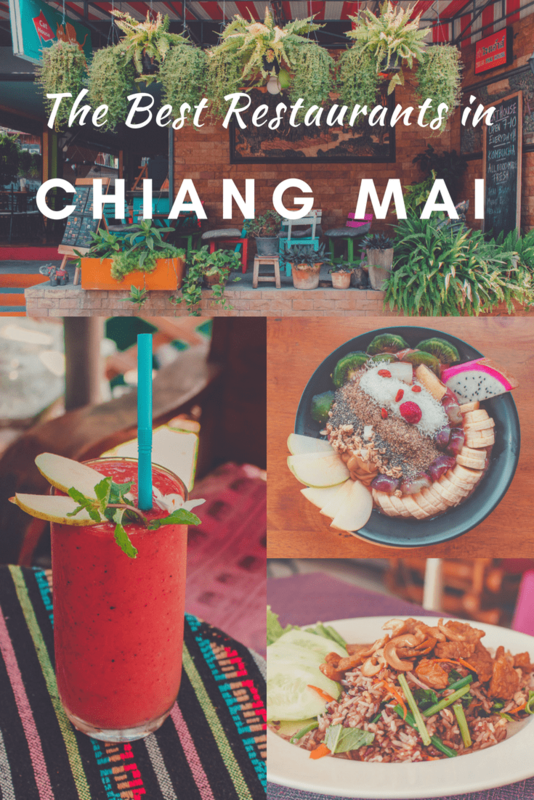 Be sure to browse our favorite international restaurants in Chiang Mai before deciding which restaurant you want to frequent. Bon appétit! Pizza-lovers, rejoice, as there is one joint serving up tasty slices for impressively low prices. 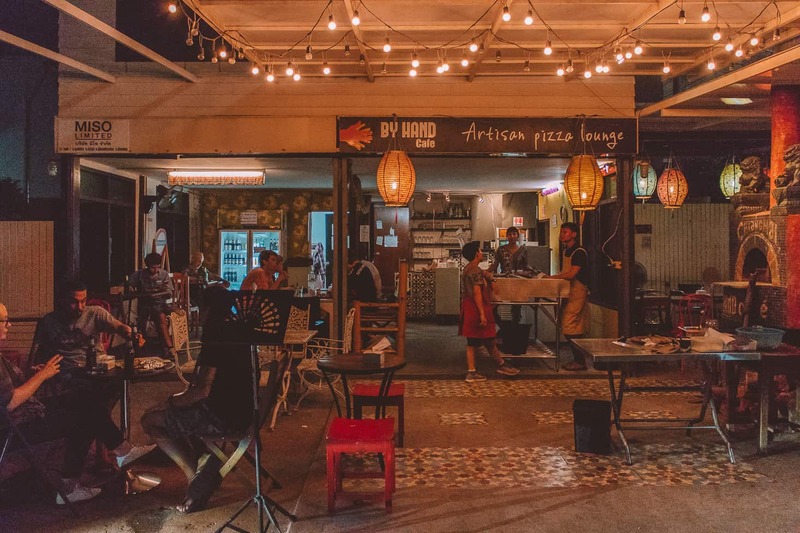 By Hand Pizza Cafe is found in Old City Chiang Mai, and it is common that this restaurant is packed with eager diners at the ready to enjoy the artisan pizza that is handmade at this amazing eatery. Regardless of the crowds, their delicious pizzas are certainly worth waiting for. 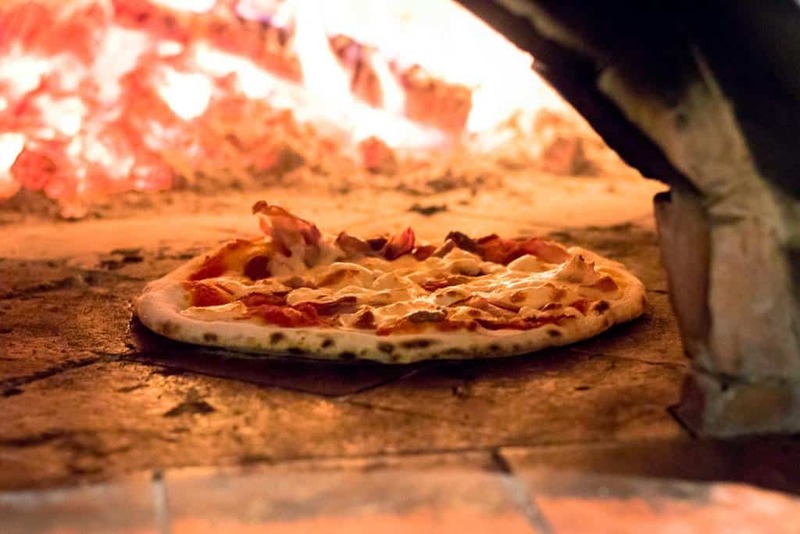 Each one is handmade (as its name implies) in their wood-fired low, dome Neapolitan oven. The pizzas here are best enjoyed with a beer or wine in tow. They even have vegan options! Hours: Daily from 5 p.m. to 10:30 p.m.
Mexican, Myanmarese, Italian, Middle Eastern: there is no type of cuisine you will not find at Cat House, one of our favorite dining options in Chiang Mai. Not only will you literally find every type of food here, but they also do each country justice with their delicious dishes. When a restaurant offers one too many types of cuisines, the bar is set really low, however, this is not the case at Cat House. Surely one dining venue could not master an American-style breakfast and a Burmese tea leaf salad … right? Wrong! You cannot go wrong by selecting any one of the international or Thai dishes on the extensive menu. The best part about dining here is that all of the prices are low, with some dishes starting out at as little as ฿60 (about $1.80). The mastermind behind these dishes is Jacky, a woman who grew up in Southern Thailand. She comes from a family of farmers and food was their passion, which reflects in every dish at Cat House. This is one venue that is favorited amongst vegans and vegetarians, as they are serving up delicious vegan desserts and meat-free mains, as well. 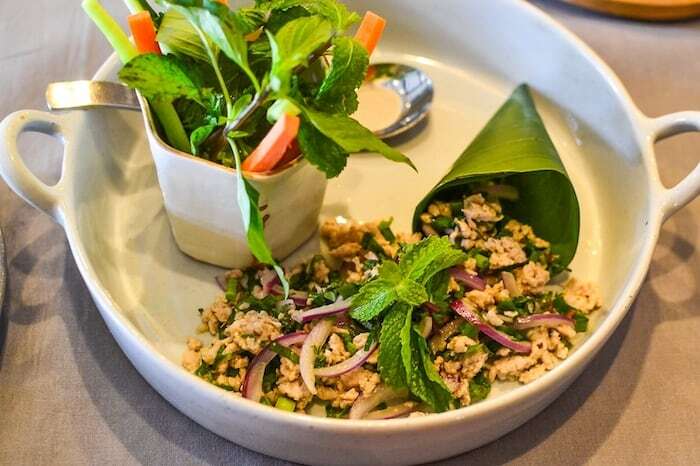 One of our favorite dishes is the lap Isaan, an East-style Thai wrap with an abundance of herbs and spices for added flavoring. Be sure to check out Cat Shack, the second version of Cat House and arguably just as delicious! Hours: Daily from 7 a.m. to 10 p.m.
Sushi-lovers will be happy to know that Chiang Mai has got plenty of Japanese cuisine options. 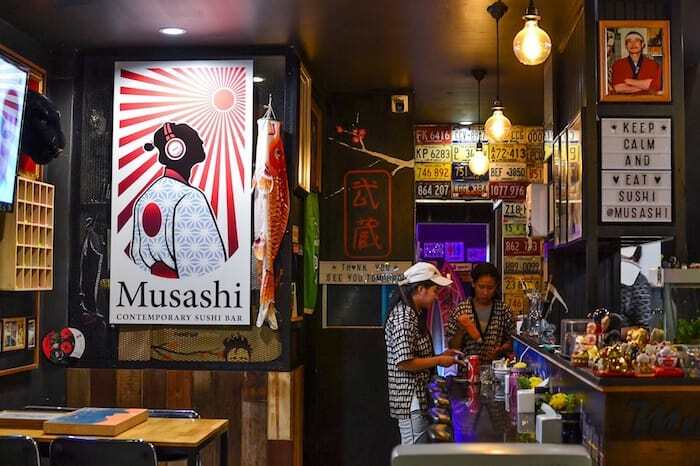 Our favorite is the quaint restaurant, Musashi Sushi Bar, located in the Nimman neighborhood. Filled with eclectic Japanese trinkets and decorations, you’ll feel like you’ve been transported to Tokyo. The sashimi here is incredibly fresh, the rolls aren’t overly sauced, and the portion sizes are generous. Make sure to try some of their sake with your meal! This hole-in-the-wall restaurant may look like any old street-side food vendor, but it is certainly one to be reckoned with. 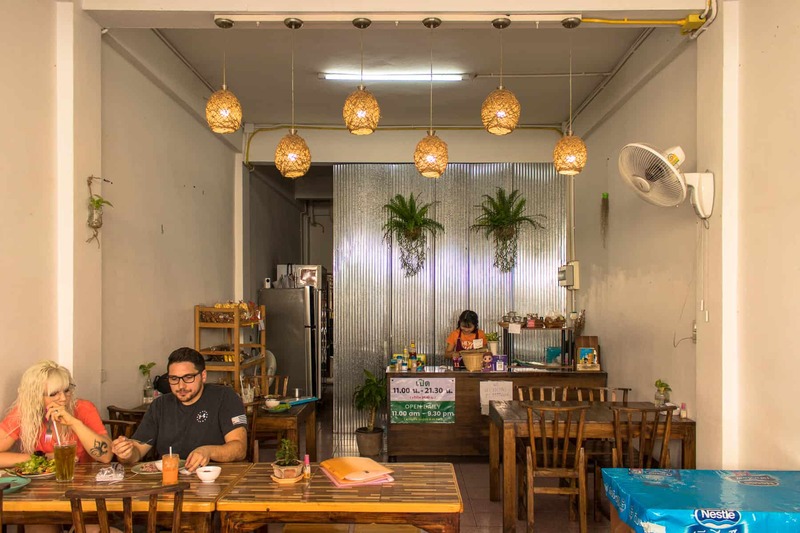 Found in the up and coming area of Nimman, Nong Bee’s Burmese Restaurant & Library is one Burmese restaurant on our list that has to be visited by those venturing to Chiang Mai. There is a plethora of Thai menu options as well as Myanmarese, and with dishes starting out at as little as ฿30, you might as well grab a few of them and indulge. The restaurant opened in 2005 and has been pleasing customers ever since with its cheap and tasty finds. The venue itself lacks any type of aesthetically pleasing qualities, but with friendly service and dirt cheap, delicious finds, one cannot go wrong by eating here. 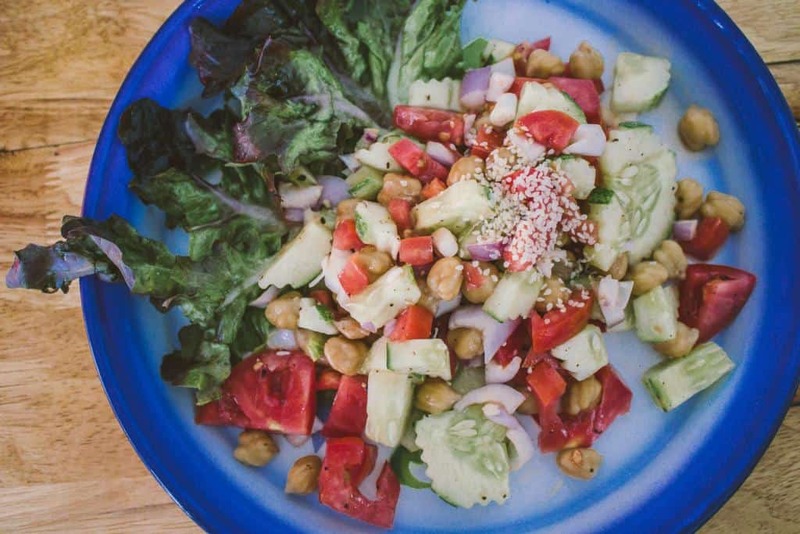 For those of you abiding by a meat-free diet, you will be pleased to hear that there are a number of jay-friendly menu items, including all of their delicious salads and even a few mouthwatering curries. If you are looking for a posh setting without posh pricing, Fern Forest Cafe is the venue to frequent. Slow piano tunes serenade diners as they soak up the incredible atmosphere, and there is even a piano found in the restaurant! The restaurant is made up of two very different areas in which to dine in. Inside of the venue, the decor features white wicker chairs with blue and white foliage pillows to compliment the bright and classy decor. The entire restaurant is made up of windows, so diners truly feel as though they are dining inside of a glasshouse. The outside of the venue is just as cute, and it is almost entirely shaded by trees and plants. There are spritzers throughout so you will never get hot, as well. 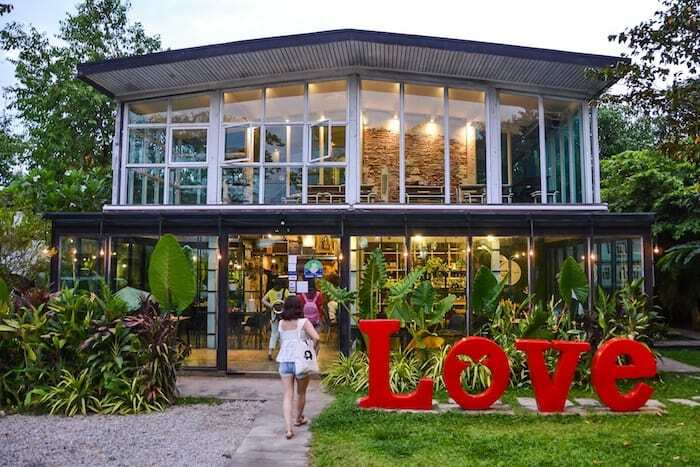 Fern Forest Cafe is truly an incredible dining venue with options for every type of appetite, so be sure to include this restaurant on your foodie journey throughout Chiang Mai. Hours: Daily from 8:30 a.m. to 8:30 p.m.
Rustic & Blue has been attracting Instagram-lovers and foodies since it opened in 2014. 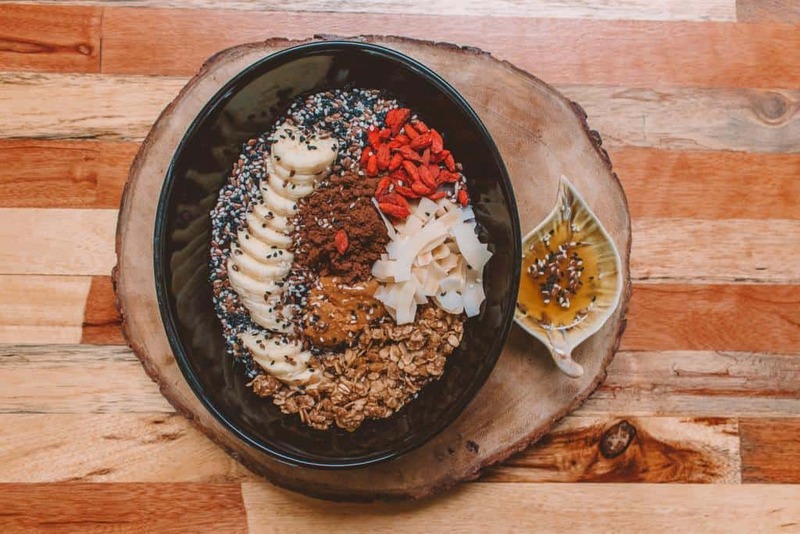 Kick-start a day of exploration in this Northern Thai city with one of their acai or smoothie bowls, with vegan, vegetarian, and gluten-free options available. The menu is split up into many enticing sections, each one of which is graced with photographs of what it is you are about to devour. 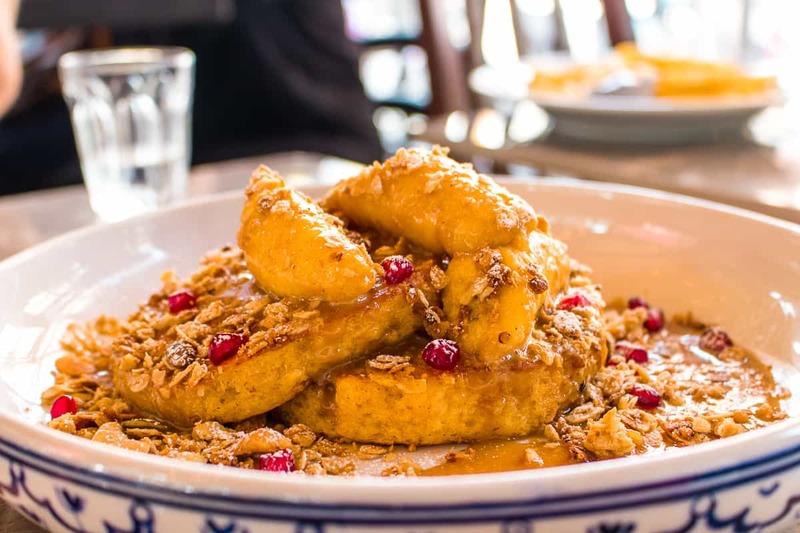 In addition to mains, this venue is also serving up breakfast, salads, soups, smoothies, and sweets, many of which are vegan-friendly. What makes this restaurant a favorite amongst visitors to the city, however, is its aesthetically pleasing interior and exterior. Restaurants do not get much prettier than Rustic & Blue. All of the dishes are made with fresh, local, and seasonal ingredients, as well. 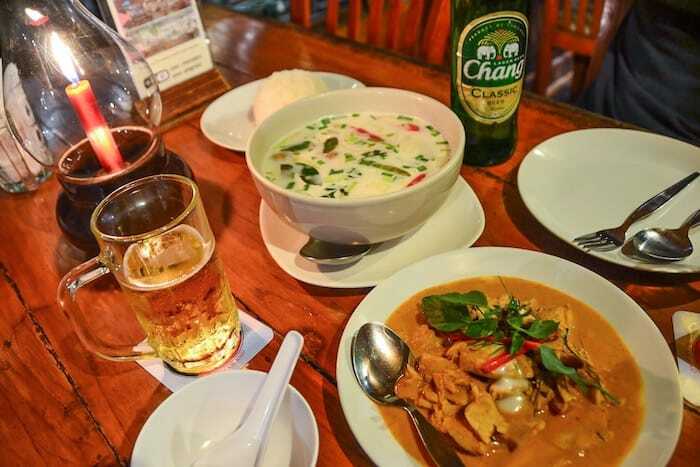 Find out for yourself at one of the best restaurants in Chiang Mai! Hours: Daily from 8:30 a.m. to 10 p.m.
Travelers wanting to splurge a bit in Chiang Mai should head to the #1 restaurant in the entire city. Eating at this fine dining restaurant is an entire experience. A personalized welcome card will await you at your table and every server is helpful, professional and efficient. Cleaning the table in between each course, they even have a special brush to wipe off breadcrumbs (#poshAF). 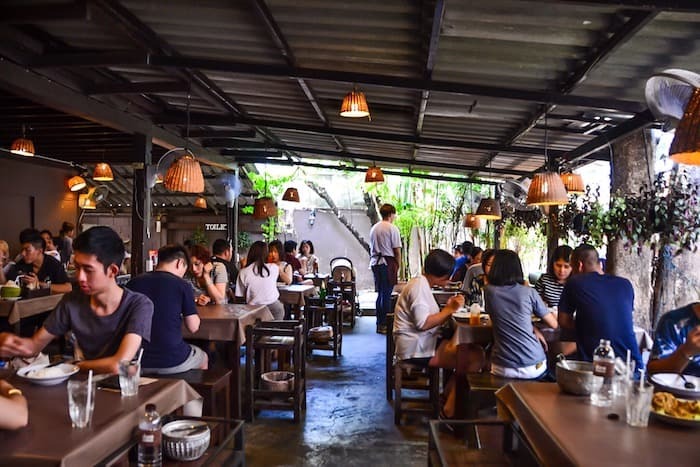 The owner, David, will stop by your table and can tell you about his business in Chiang Mai and how it has become such a popular place to dine. The food is, of course, exceptional. In addition to your meal, they’ll serve small, complimentary appetizers that are equally as delicious as the mains. The prices are fair, albeit expensive for Thailand, but definitely worth it for a fancy night out. The minimalistic ambiance in this swanky restaurant is an ideal setting to enjoy a fantastic dinner. Feel as though you are dining with family at Sababa Israeli Restaurant. The owner, Ezra, is at the ready to greet all those who walk through his restaurant’s door in hopes of filling their empty stomachs. Outwardly friendly and kind, he is filled with suggestions as to which falafel plate is right for you. 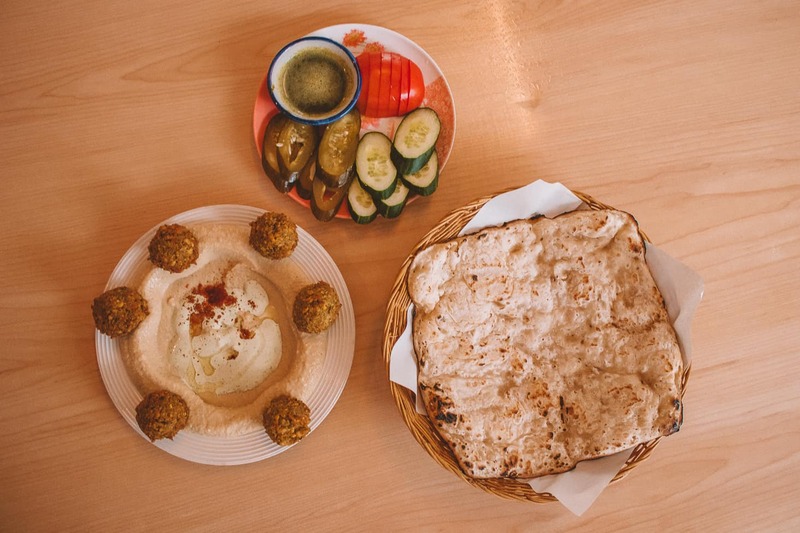 Equipped with some of the best hummus in town, it is no wonder that Sababa Israeli Restaurant is rated as one of the top restaurants to frequent on TripAdvisor. 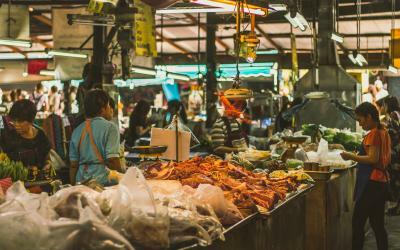 They recently moved locations and are but a stone’s throw away from the famous Chiang Mai Night Bazaar, should you want to do some shopping after your delicious meal! 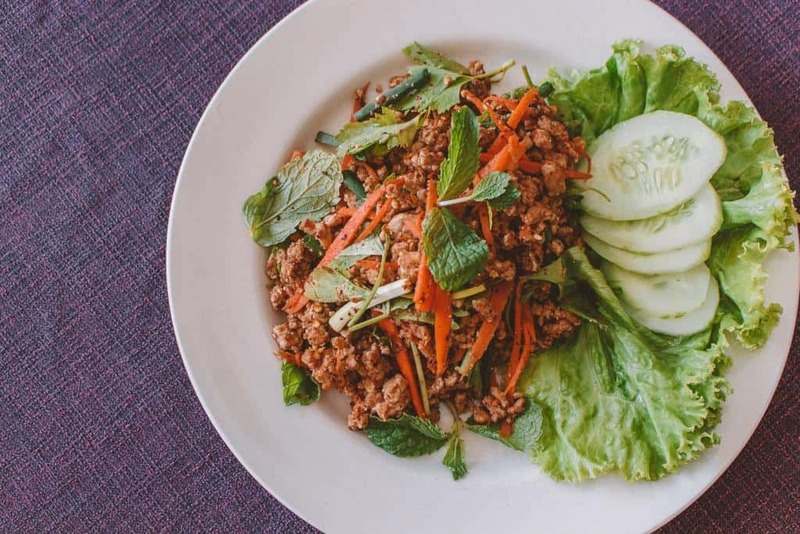 Chiang Mai is the ideal city to grab some deliciously healthy meals. 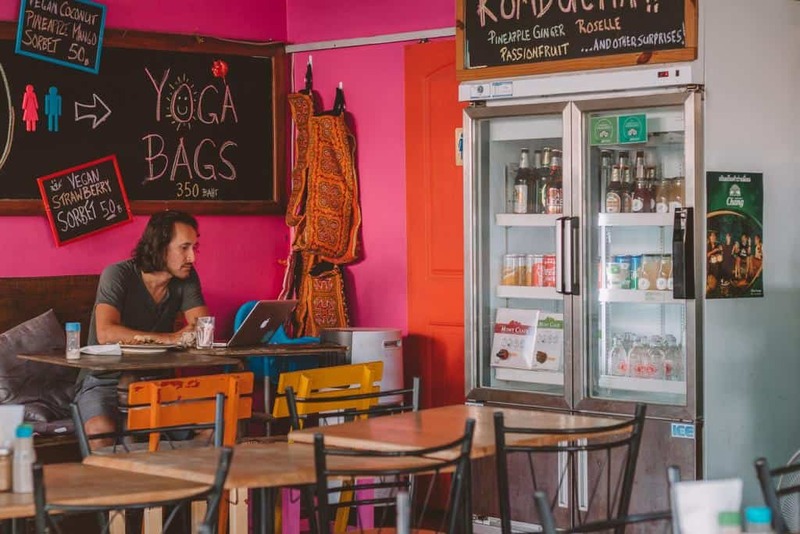 Not only are these restaurants and cafes mostly animal product-free, but they provide a cozy and inviting atmosphere to lounge in and escape the heat. 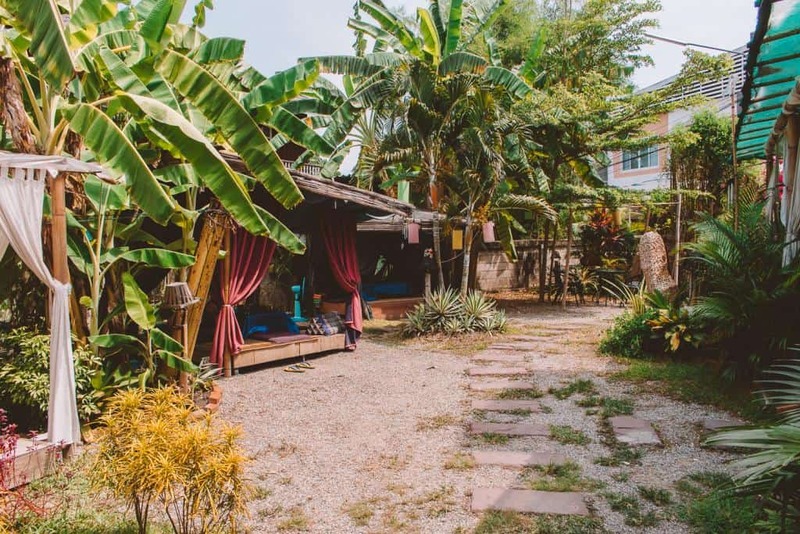 Fresh and locally sourced ingredients are used to make all of the delicious dishes found at Reform Kafe, a quaint restaurant found within Green Tiger House. It is but a short walk from the famous North Gate and strictly serves up vegan cuisine. With that being said, the animal product-free items are so delicious that even the most carnivorous of diners will be scraping their plates clean. 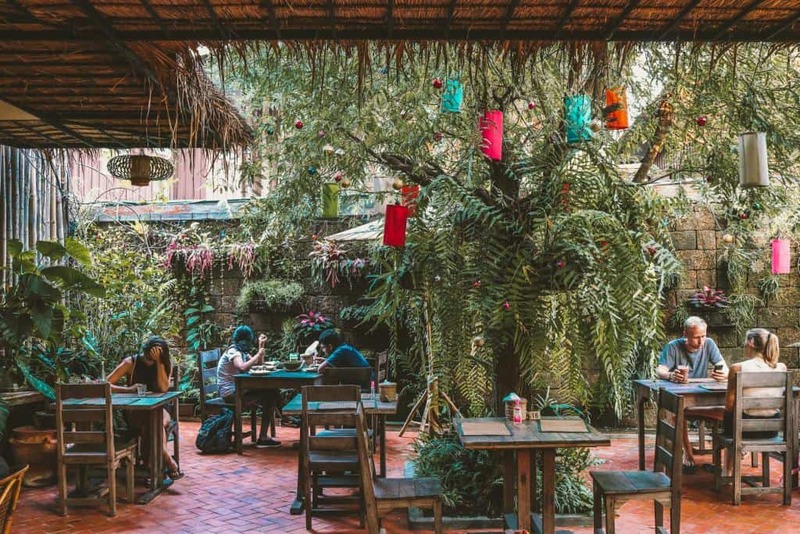 With a great atmosphere and friendly staff to boot, you cannot go wrong by choosing to dine at Reform Kafe in Chiang Mai. Hours: Monday through Saturday from 11 a.m. until 9 p.m. | Sundays from 11 a.m. until 4 p.m.
Those diners abiding by a meat-free diet and ballin’ on a budget need to check out Aum Vegetarian. This restaurant looks more like a home than a dining venue, which makes it all the more intriguing. 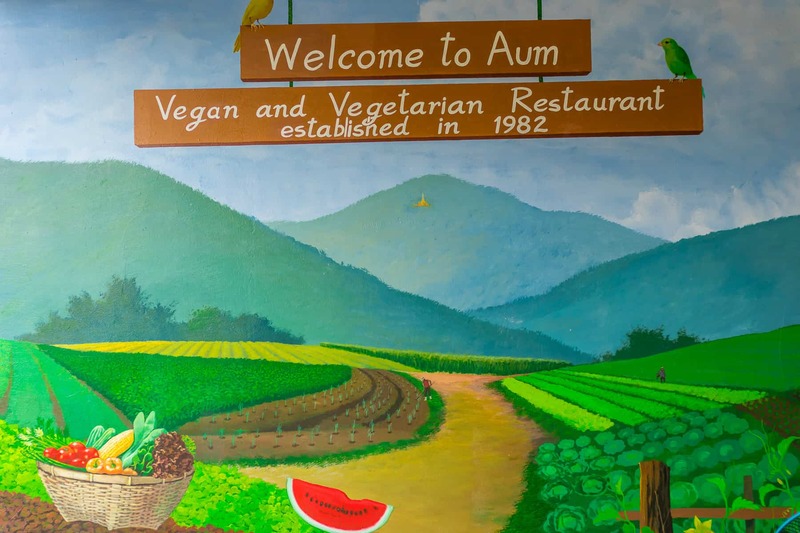 Aum Vegetarian opened in 1982 and has been a hit amongst visitors to Chiang Mai ever since. Its menu is packed with tasty finds, with unique faux meat options found tucked between the many pages, as well. All of the dishes are MSG-free, as well. Hours: Daily from 10:30 a.m. until 8:30 p.m.
Lovely environment, people, and food: what more could you want from a restaurant? This is exactly what visitors to Amrita Garden can expect to find. As its name suggests, diners will literally feel like they are dining within a garden at this restaurant. The chefs here use the power of organic vegetables to fuel all those who visit this restaurant, and prepare to find loads of healthy finds to choose from at Amrita Garden. From gluten-free pasta to buckwheat noodles, you can delight in indulging in the dishes here knowing that each one is made from these power ingredients. Most of the food is vegan-friendly and they even serve up a daily macrobiotic lunch set. 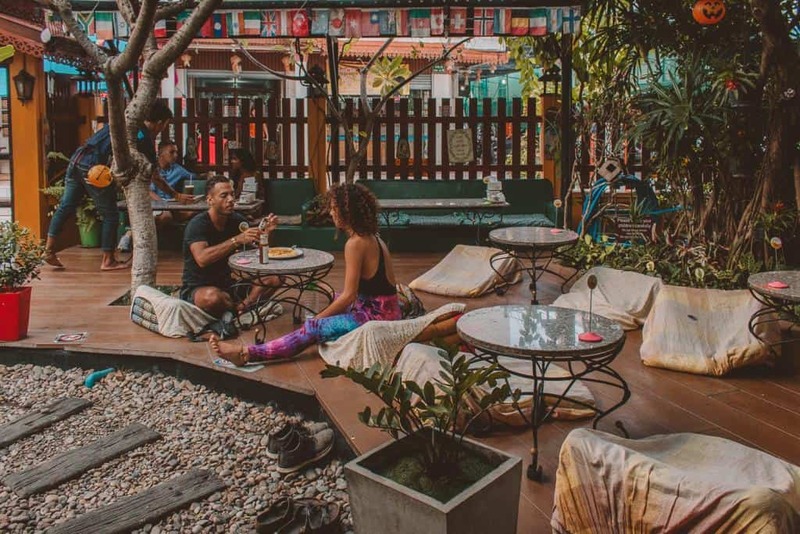 Hours: Closed Tuesdays | Wednesdays to Mondays from 11:30 a.m. until 9 p.m.
Bee Vegan is a strictly vegan restaurant found but a ten-minute drive from Chiang Mai’s city center. This menu is chock full of tasty finds and is broken up into countless sections, giving you plenty of options to choose from. Noodle soups, salads, appetizers, stir-frys, smoothies, shakes: the options are seemingly endless. 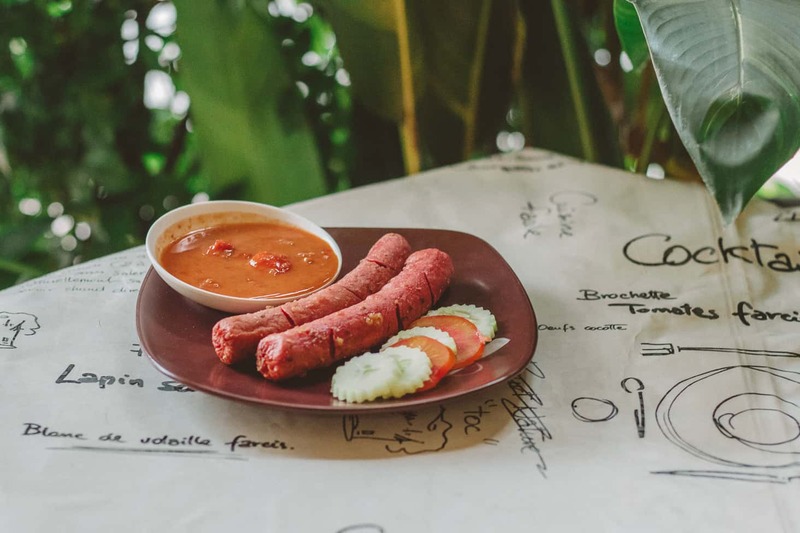 We recommend the pineapple and ginger smoothie (฿40) and the Isan style vegan sausage (฿20). For those of you abiding by an animal product-free diet, this is one of the best restaurants in Chiang Mai to frequent! 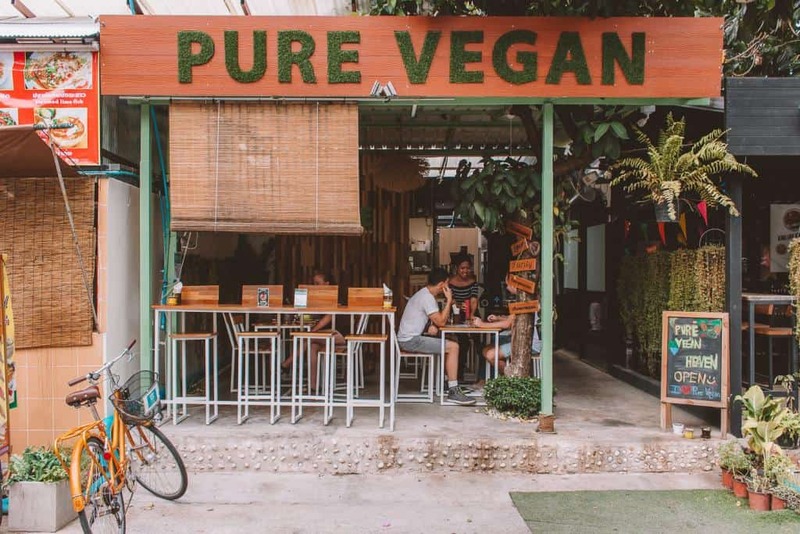 Pure Vegan Heaven is serving up 100 percent plant-based cuisine that is healthy, fresh, and flavorful. 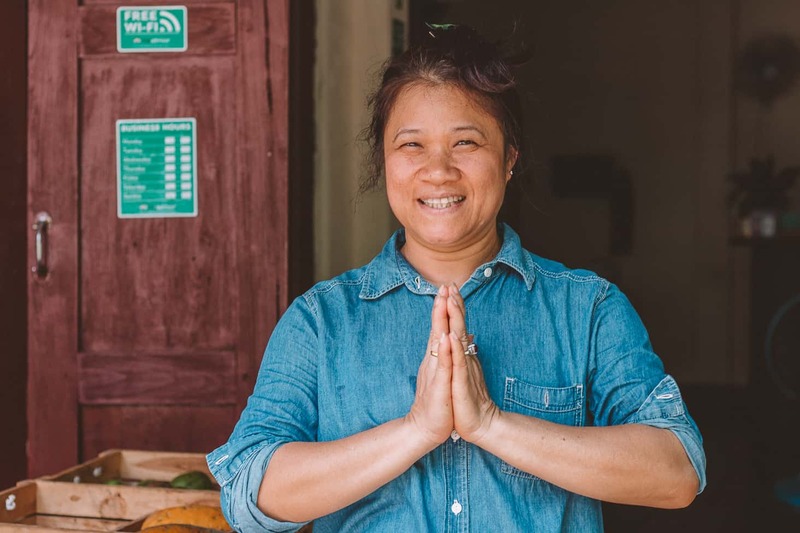 Their menu supports both their customers’ health as well as sustainability for both the community and the planet, and in addition to all of this, their food is delicious! 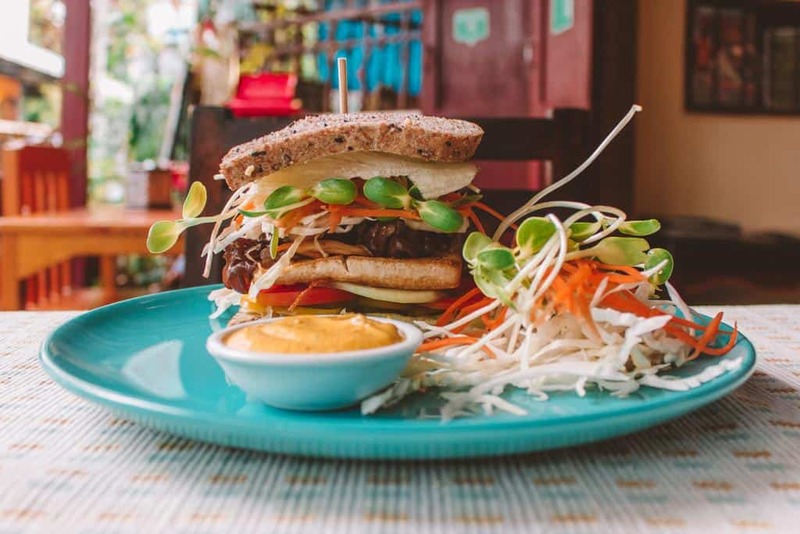 Happy, healthy, and heart: the three things every dish at Pure Vegan Heaven is, making it a shoe-in for our list of the best restaurants in Chiang Mai. In addition to serving cruelty-free dishes without the use of any animal products, Pure Vegan Heaven also does not use refined sugars in flour, high fructose corn syrup, or hydrogenated oils, with the goal of being as allergy-free as possible. This locally owned business is one you can feel good about supporting. The menu here features breakfast, vegan bowls, wraps, gluten-free pasta dishes, Thai food, a salad bar, mains, acai bowls, and desserts. They are also serving up tasty smoothies, juices, coffee, and tea. If you have been traveling in Thailand for any amount of time, it is likely you are eating almost anything and everything in sight. The food in the Kingdom is absolutely to die for, but sometimes, we do not realize how much we are indulging until it’s a few kilos too late. Fret not, as there are plenty of healthy eateries in Chiang Mai including Fruit Pulse Healthy Juice Bar & Cafe. This open-air eatery has both inside and outside seating with plenty of healthy options to choose from on their menu. 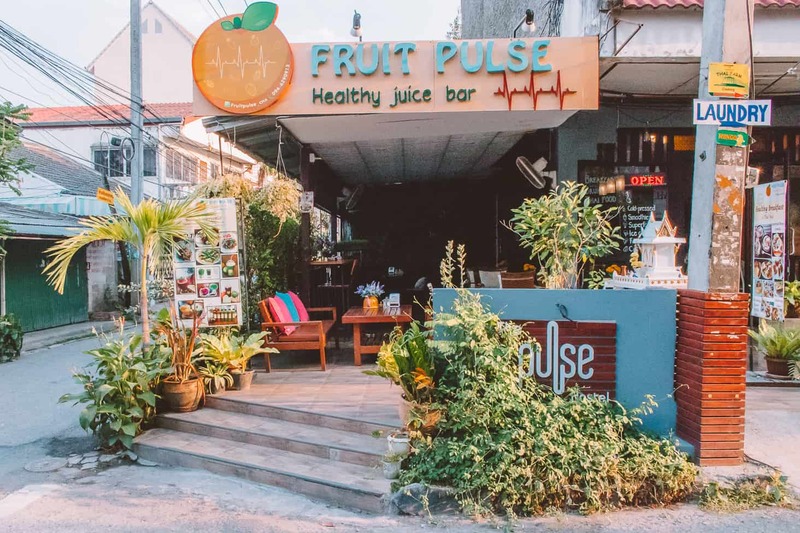 Their delicious acai bowl remains a favorited dishes amongst visitors, though there are many other dishes and drinks that are sure to refresh and refuel all those who visit Fruit Pulse Healthy Juice Bar & Cafe, one of the best restaurants in Chiang Mai. 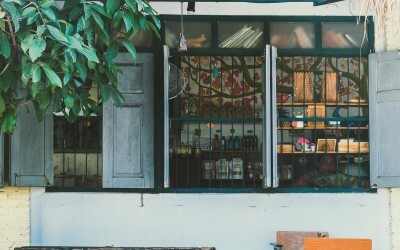 Morning Glory has been open in Chiang Mai for about 12 years. The restaurant was originally working with May Kaidee, another popular vegetarian restaurant, until about four years ago. Regardless of going rogue, this restaurant remains one of our favorites in the entire city. The menu is but a front and back page and the interior is as mundane as can be, but the food is what will knock visitors’ socks off. This vegan restaurant has some of the best animal-free products in the northern capital, and even those with a need for a more carnivorous dish will be surprised that some of their faux meat entities are not, in fact, meat. 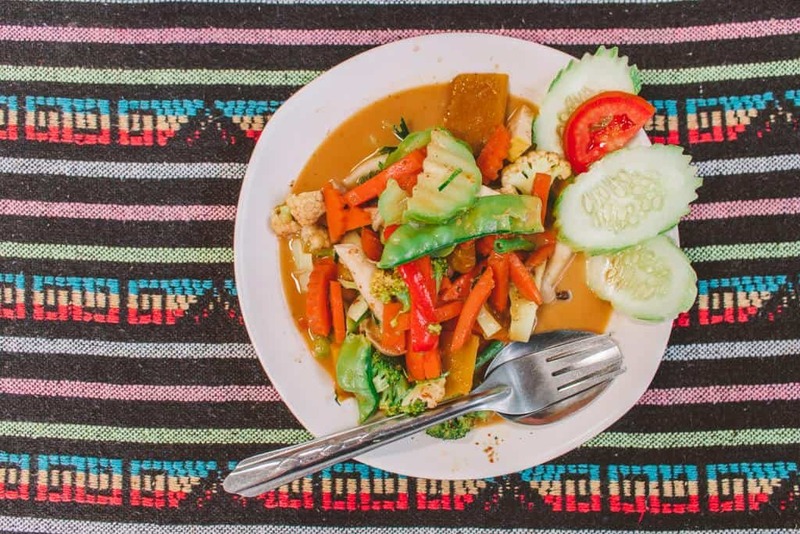 This is also one of the most affordable of restaurants on our list, so those of you backpackers who are tight on baht need to sink your teeth into any one of the dishes at Morning Glory. 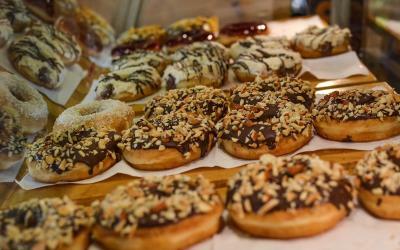 If you want to learn more about the dishes here, Morning Glory offers cooking classes, as well. 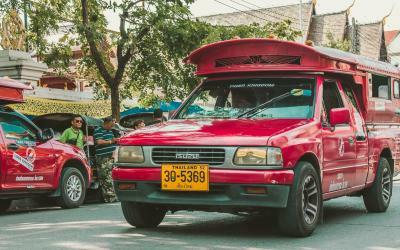 Chiang Mai is home to many migrants from Myanmar. They come to the Kingdom in hopes of getting a good education and to escape the civil war that has been taking place here. Many are unable to assimilate into Thai society because they are unable to go to school, which is where Free Bird Cafe comes in. 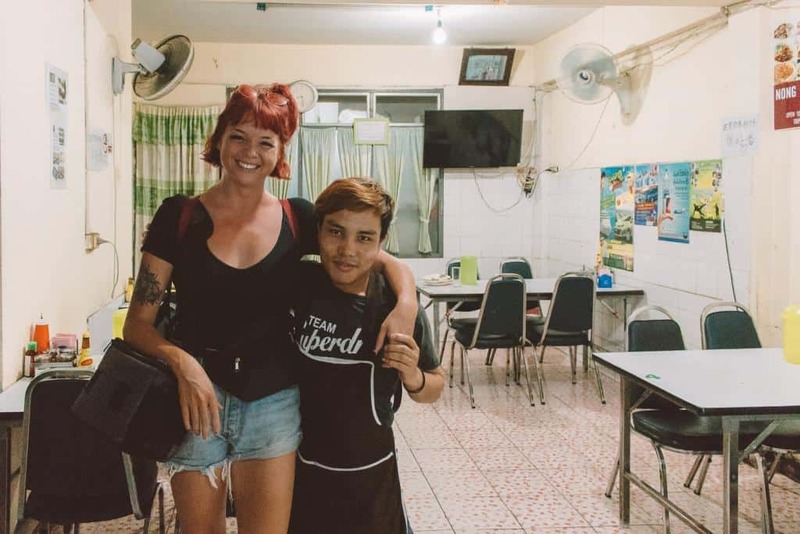 This social enterprise and cafe duo is a restaurant by day and charity/school by night. 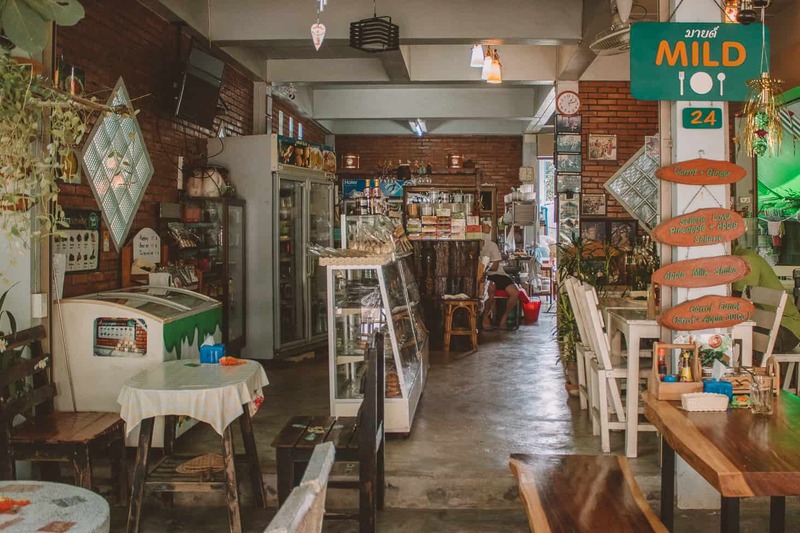 There is also a lightly used charity shop in the back of the restaurant with some funky finds, should you feel like doing some shopping while indulging in delicious Burmese cuisine. Be sure to try the tea leaf salad! There are also plenty of vegan finds on the menu, as well. As a socially responsible hostel, we love that they use reusable bamboo straws in place of plastic ones as well as give back to the community, so feel free to dig in and do some good all the while! 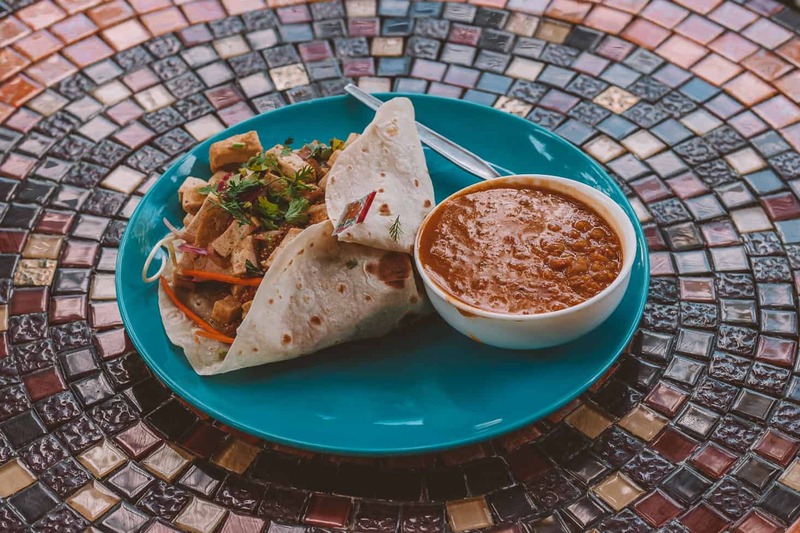 Hours: Closed on Sundays and Mondays | Open Tuesday to Saturday from 9 a.m. until 5 p.m.
What started off as a common goal amongst local women eventually became a reality, and that reality is Bodhi Tree Cafe. The staff here once dreamed of creating a space where they could offer their guests a happy, healthy, and peaceful dining experience, and they have certainly succeeded with this delicious restaurant. This traditional, Thai-style cafe is one that you will find yourself relaxing in for hours. The delightful combination of cushioned floor seating, welcoming atmosphere, and kind owner will make it hard to leave. That, in addition to the plethora of delicious dishes visitors have to choose from, will keep them ordering one after another. There is also a yoga studio on the second floor of the restaurant! 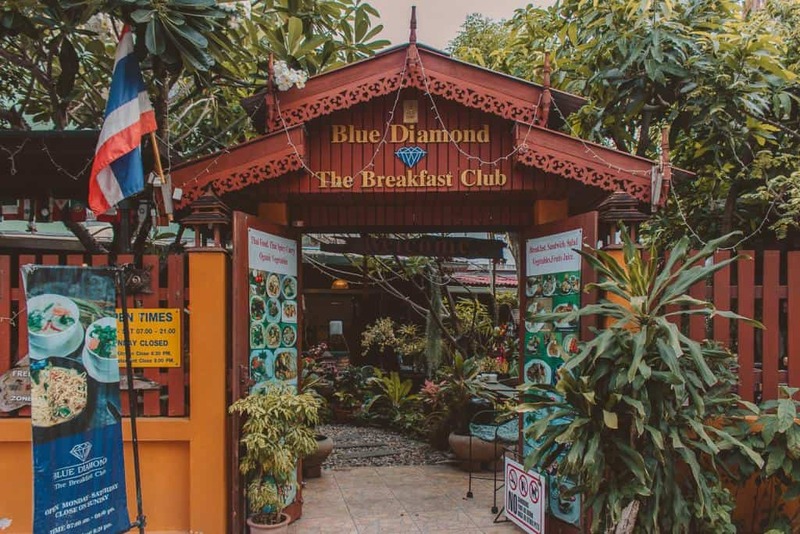 Whether you are treating yourself to breakfast, lunch, or dinner, Blue Diamond: The Breakfast Club is the restaurant to frequent. 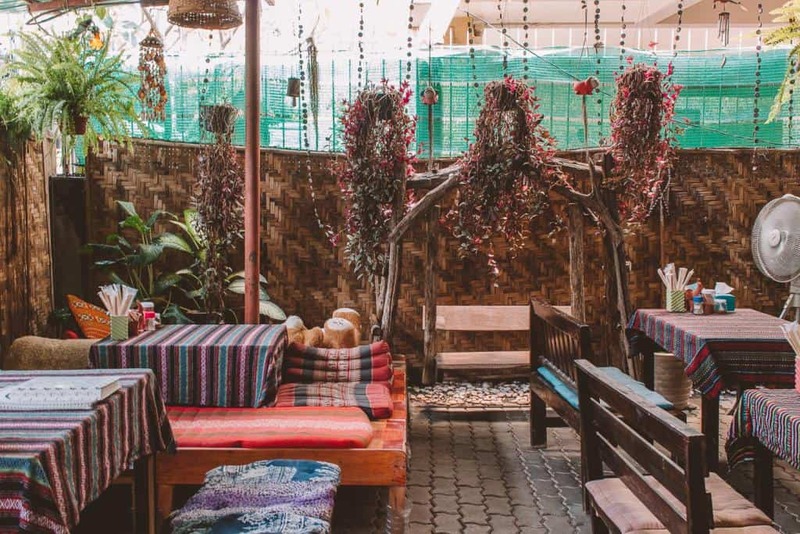 The quaint interior is adorned with Thai-style floor seating and foliage throughout, giving it a boho and hippie vibe so many visitors to Chiang Mai simply cannot get enough of. 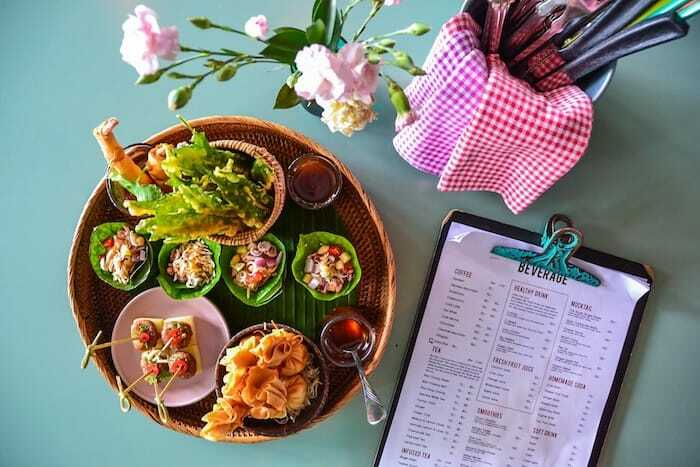 The menu is even more impressive than its cool atmosphere, with pages upon pages of Western, Thai, vegetarian, and vegan options to choose from. 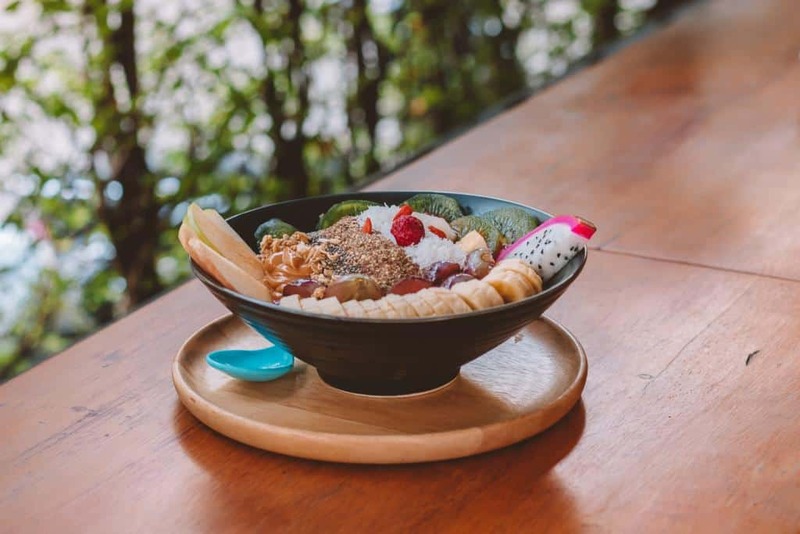 In addition to great mains, this venue has one of the most extensive arrays of desserts in town, with loads of vegan treats thrown in, as well, making it one of the best restaurants in Chiang Mai. 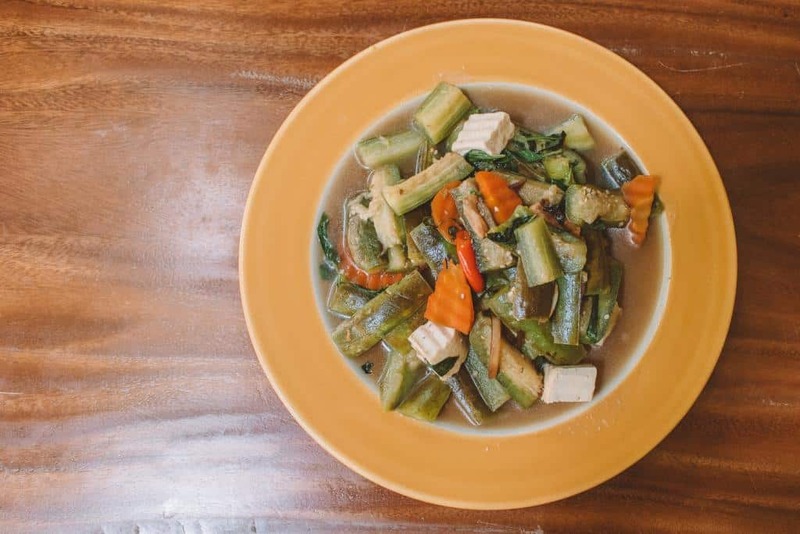 Mild Kitchen has not one but three menus to choose from: a Thai vegetarian food menu, a breakfast and drinks menu, and a specific stir-fried menu. The options are endless here, so much so that you may even find yourself a bit overwhelmed, which is always a good thing. Their all-day breakfast includes favorites like their delicious eggs benedict with salmon and spinach (฿220), the Mexican-style breakfast omelet (฿220), and their spicy baked beans with potato cakes (฿220). Mild Kitchen also has loads of vegan desserts! 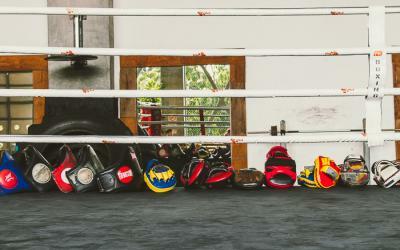 Hours: Daily from 7 a.m. to 8 p.m. 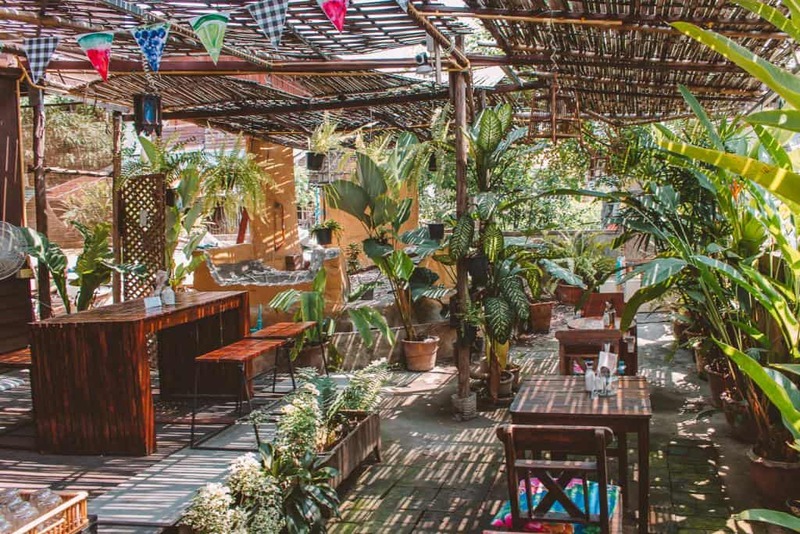 Pink House Garden may be one of the most affordable restaurants on our list of the best restaurants in Chiang Mai. Everything on the hand-written menu is gluten-free and vegetarian-friendly, which is why so many diners frequent this venue in the first place. 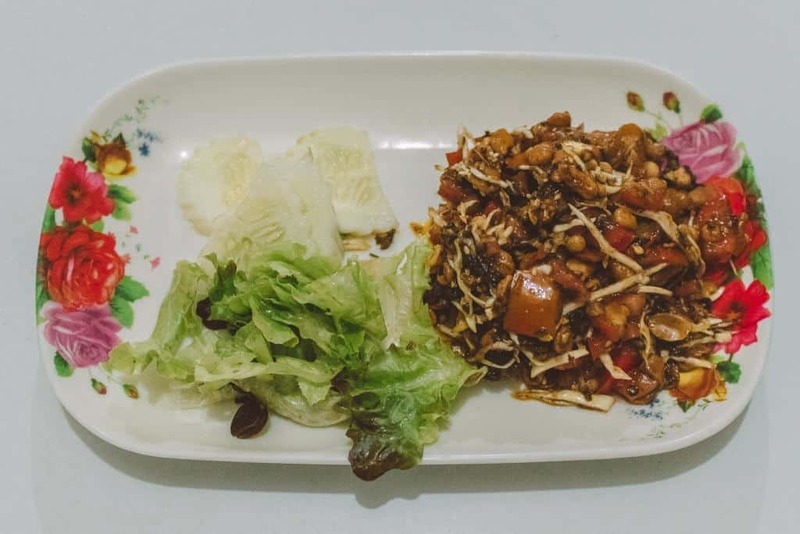 Dishes start out at about ฿50 and so not exceed ฿100, so feel free to try a few of the delicious menu items at Pink House Garden, including the fried cashew nuts with tempeh (฿85), the panang curry with vegetables (฿75), or the popular Southern Thai dish of khao yam (฿80), meaning rice salad. Did you love this article about the best restaurants in Chiang Mai? 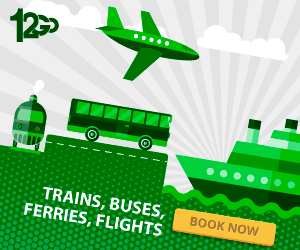 Do you want even more information about where to dine in the northern capital? Then check out these articles that we have rounded up for your dining satisfaction. 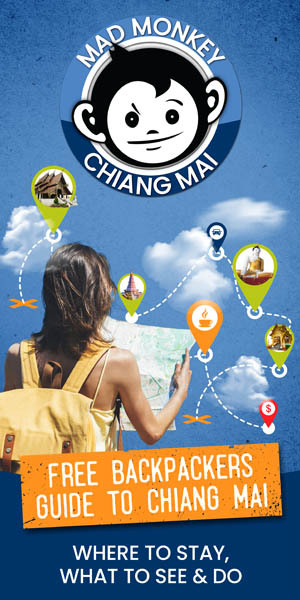 Dig in and enjoy even more information about the best restaurants in Chiang Mai!